Scroll down for 'making of' featurette of Billion Dollar Brain and interviews with the main actors! Very rare 'Making' of documentary about Billion Dollar Brain! 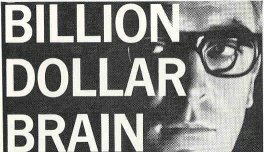 Check out this very rare1967 making of documentary about Billion Dollar Brain. The featurette is in black&white because the original 16 mm film had become too red to make a good viewing. Enjoy! Karl Malden, the Academy Award-winning actor died Wednesday 1 July 2009. 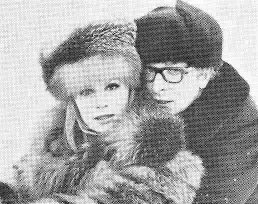 He was 97.He played the part of Leo Newbegin in Billion Dollar Brain. Malden died of natural causes surrounded by his family at his Brentwood home, they told the Academy of Motion Picture Arts & Sciences. He served as the academy's president from 1989-92. 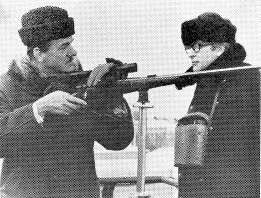 While filming Billion Dollar Brain (1968) at Pinewood Studies with Michael Caine, Malden's London hotel room was burgled and his cash stolen, but his travellers' chcheques were left untouched. The incident persuaded him to become the face of American Express travellers' cheques a few yeas later for a long-running series of commercials with the punchline "Don't leave home without them". Billion Dollar Brain has been released on dvd in Europe, Australia and the USA. A source on the Internet reports that Billion Dollar Brain has never been rereleased on video or on dvd before due to the licensing rights of the Beatles song that can be heard in the movie. They were said to be too expensive. A big shame but nevertheless MGM owns a wonderful scope videomaster of the movie which has now finally been used. For both region 1 and 2 dvd's the scenes with the Beatles track have been edited, but you can see these 32 seconds below this text. Funny enough there was a rental videotape, released in 1986, which contained the whole track/scene. 24 Feb'07 Andrew S. added: "Actually The Beatles themselves (or more accurately Apple Records) who actually made the use of that song in the film too expensive. Apple (The Beatles company) still owns the rights to their recordings, while Michael Jackson owns the publishing rights. So if you wanted to use a recording of The Beatles, you would have to get their permission (and of course Michael Jackson would get a slice of the money). However if you just wanted to use a Beatles song but have somebody else record it, then you would only need to get permission from Michael Jackson's company. This is what happened in that Sean Penn film "I Am Sam". The producers wanted to use actual Beatle recordings, and I believe that Ringo, Paul and Yoko had all agreed, but they were waiting on George's agreement. But at the time he was very ill with cancer so they never actually got his go-ahead. 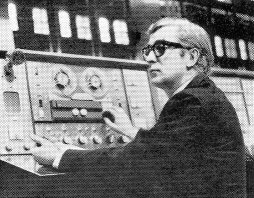 So as a result, they couldn't use Beatle recordings so they just licenced a number of Beatle songs and got other people to record them." See more covers click here. When you click on the right you can the see the 'famous' 32 seconds that have been cut from the European and USA dvd-releases. On the dvd the scene was cut from the moment where Harry enters the red wooden house and continues just after the Beatles song stops (the reason of cutting in the first place). As you will see these 32 seconds don't interfere with the story but just to make your idea of the original movie complete, here it is! 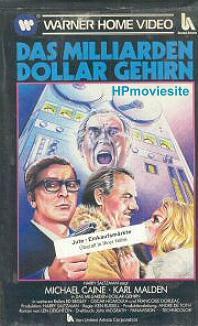 11 December 2001 The Harry Palmer Movie Site was informed by a well-informed source that MGM has made a dvd-testdisc of Billion Dollar Brain. The rights for the Beatles song in the movie and "a lack of appeal" seem to be the only reasons which can stop the release of Billion Dollar Brain on dvd in 2002. 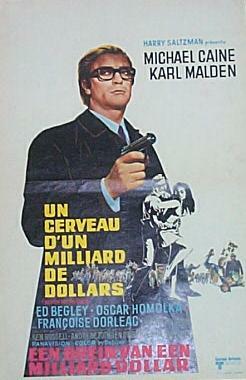 6 September 2004 Billion Dollar Brain dvd released, region 2 / 4 dvd (Germany 7 September), 30 sec. 'Beatles-scenes' deleted. 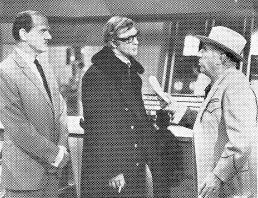 The teaser trailer and a colour version of the rare featurette (little documentary and 'making of' stuff) of this movie can be found on the videotape "Spies, Sleuths and Private Eyes" (Spy Guise and Cara Entertainment). You can order this tape at the Spyguise shop. 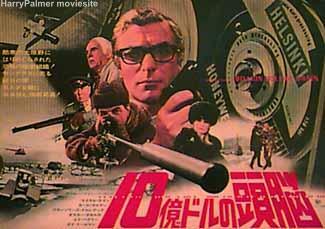 It also features a trailer of Funeral in Berlin. For information about the soundtrack of Billion Dollar Brain go to Soundtracks. 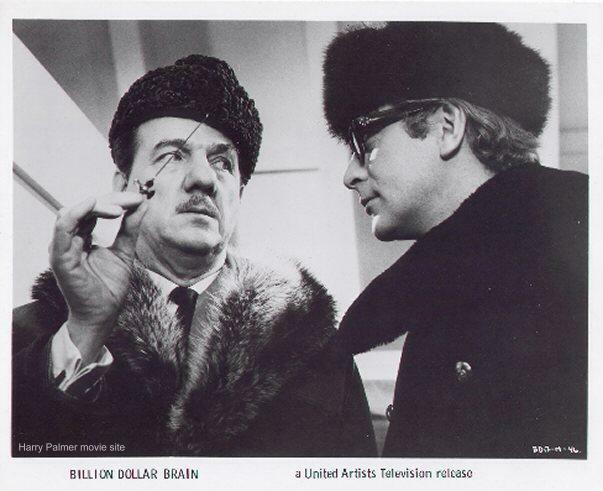 For trivia and other strange stuff about Billion Dollar Brain go to the Trivia page ! 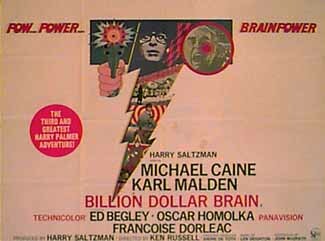 The allmovie.com site Good info about Billion Dollar Brain. Bright Lights Film Journal - Billion Dollar Brain Nice review by Mark Dellar.